UFAN is excited to announce our Art Contest for Food Allergy and Eosinophilic Awareness Weeks! Get your creative juices flowing with this year’s theme, React with Respect. We encourage submissions about how you or others React with Respect in regards to bullying, reactions, epinephrine, the seriousness of food allergies, dealing with differences, feeding tubes, etc. Submissions can be a poem, essay, fictional story, painting, drawing or any other creative work of your choice. Please find the official rules and entry form below and we are excited to see your amazing talents! 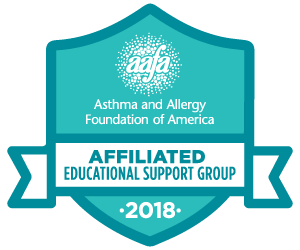 For more ideas on how you can get involved during the awareness weeks, visit Food Allergy Research and Education, American Partnership for Eosinophilic Disorders, and Campaign Urging Research for Eosinophilic Disorders. ← Get your Easter Baskets Ready!